Lilly Handmade Chocolates is an amazing chocolate shop located in the Tremont neighborhood in Cleveland. Aside from selling truffles and other chocolate delicacies, Lilly also has a selection of craft beer and wine available for take-out or in two ounce pours. If you're interested in purchasing wine or beer, the staff can assist you in deciding which chocolates to pair with your choice. We had been to Lilly once before on the recommendation of my friend Kaley, but it was at the end of the Taste of Tremont, so I wasn't in the mood to try a variety. When we attended the Garlic Festival this past weekend, I insisted that we stop at Lilly to pick-up chocolate since we're only in Cleveland once a month. There we so many options, Dave and I each chose three chocolates. Our order consisted of the PB Monsters; Red Planet; License to Caram-ill; Hot Llama; Maui Wowie; and Half Past Midnight. PB Monsters: Peanut butter is my kryptonite, I was in love with this one. This one had a nice texture to it due to the crunch. Dave thought it was just okay. Red Planet: This one was not my favorite, I think the raspberry powder was what I didn't like. Dave thought it was nice and that it sort of fluctuated through all of the listed flavors. Hot Llama: Dave described this one as pretty exciting. The amarillo chilies adds a serious punch at the end. I loved the sequin pattern on the top, I thought it was so pretty. Maui Wowie: I liked this one, it was pretty simple and classic -- that nice vanilla flavor. Half Past Midnite. I could taste the coffee and the dark chocolate -- I really liked whatever made it crunchy. Dave liked the texture and thought it had a good bitterness. 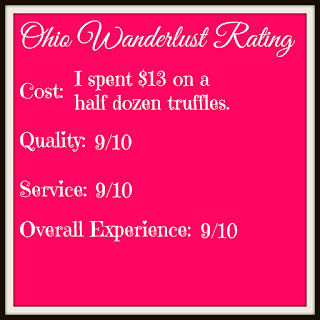 I know that truffles are a little expensive, but these make for really nice birthday, anniversary or holiday gifts. 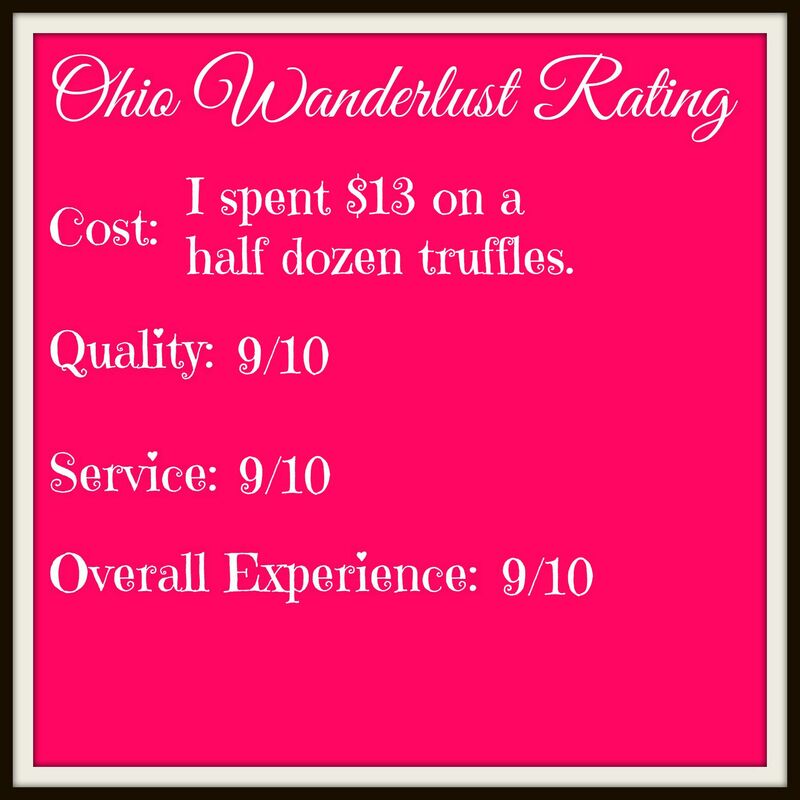 They're just a really fun way to celebrate something, each is so different in its taste and design, that you can really hand select a nice range of truffles for anyone you know.